The Definition of Broadband is a Moving Target: We Must Lead. 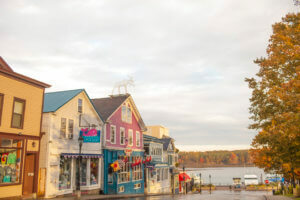 In Maine, the idea of connecting every town with efficient broadband is taking off. Broadband is a very hot topic in Maine these days. It seems that society has finally decided that it’s time to make sure everyone is connected, in much the same way that rural electrification and universal telephone service were priorities of the past. Broadband is even talked about in the same context as infrastructure such as roads and public water or sewer systems. The problem is that with broadband, we are aiming at a moving target. The definition of broadband changes over time as people’s needs change, and both the State and Federal governments have definitions that are reviewed every so often, get out of date quickly, and may or may not relate to what the consumer wants or needs at any given point in time. Because the definition of broadband is always moving, the challenge for companies and communities building broadband is not unlike shooting at a sporting clay. You need to lead the target by enough that you hit it when it catches up to you. If you aim where it is now, you are guaranteed to miss. The term Broadband was first used by marketing and advertising teams in the Cable TV Industry in the 1990’s to describe Internet service that was faster than dial-up. Since Broadband is a marketing term and not a scientific one, regulators, consumers and industry executives have a lot of latitude to modify the definition, and have done so quite a lot over the last 6 years alone. In 1998 the CCITT described broadband as “faster than the primary rate” of 1.5 to 2Mbps. In 2010, The FCC defined Broadband as 4Mbps download, 1Mbps upload. In 2012, Maine defined broadband as 768Kbps or faster in its broadband strategic plan. In 2015 The State of Maine defined broadband as 10Mbps download, 10Mbps upload. In 2015, the FCC changed the definition of broadband to 25mbps download, 3mbps upload. This rapid evolution of broadband requires that we plan for continued rapid growth. To date, copper-based technologies like DSL and Cable Modem services have been able to keep pace with the evolution of broadband’s definition, either through expanding the capabilities of the technology itself, or by aggregating multiple connections to create a single, larger pipe for the customer. In the future, the growing need for bandwidth will out-pace the existing copper networks. To prepare, providers have begun the process of building the next network by expanding the amount of fiber-optics they employ in their network. While a single copper phone line might deliver 20 megabits using DSL, a single strand of fiber can be used to deliver 10,000 megabits per second (10 gigabits per second) or more using today’s technology, and most telecommunications engineers agree that we haven’t yet tested the upper limit of fiber’s capabilities. Building fiber now is just the sort of leading shot we need to ensure that we meet the bandwidth demands of the future.